Understanding the responses of plants to the major environmental stressors drought and salt is an important topic for the biotechnological application of functional mechanisms of stress adaptation. Here, we review recent discoveries on regulatory systems that link sensing and signaling of these environmental cues focusing on the integrative function of transcription activators. Key components that control and modulate stress adaptive pathways include transcription factors (TFs) ranging from bZIP, AP2/ERF, and MYB proteins to general TFs. Recent studies indicate that molecular dynamics as specific homodimerizations and heterodimerizations as well as modular flexibility and posttranslational modifications determine the functional specificity of TFs in environmental adaptation. Function of central regulators as NAC, WRKY, and zinc finger proteins may be modulated by mechanisms as small RNA (miRNA)-mediated posttranscriptional silencing and reactive oxygen species signaling. In addition to the key function of hub factors of stress tolerance within hierarchical regulatory networks, epigenetic processes as DNA methylation and posttranslational modifications of histones highly influence the efficiency of stress-induced gene expression. 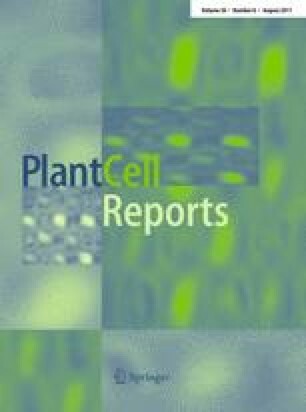 Comprehensive elucidation of dynamic coordination of drought and salt responsive TFs in interacting pathways and their specific integration in the cellular network of stress adaptation will provide new opportunities for the engineering of plant tolerance to these environmental stressors. The work was supported by the Deutsche Forschungsgemeinschaft (Germany).